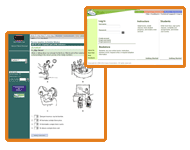 Reduce time spent grading and engage students with online workbooks and textbooks from the world's leading publishers. 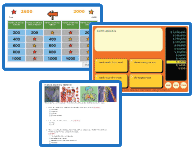 Create your own educational games, quizzes, class Web pages, surveys, and much more! Explore millions of activities and quizzes created by educators from around the world. 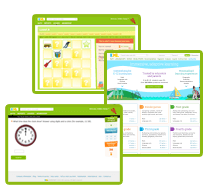 IXL helps students excel! With topics in math, language arts, science, social studies, and Spanish, there's always something new to explore.